The archival quality linen in a textured, woven natural fabric with a modern-classic appeal. Also available in baby blue and blush/baby pink covers for your newborns. 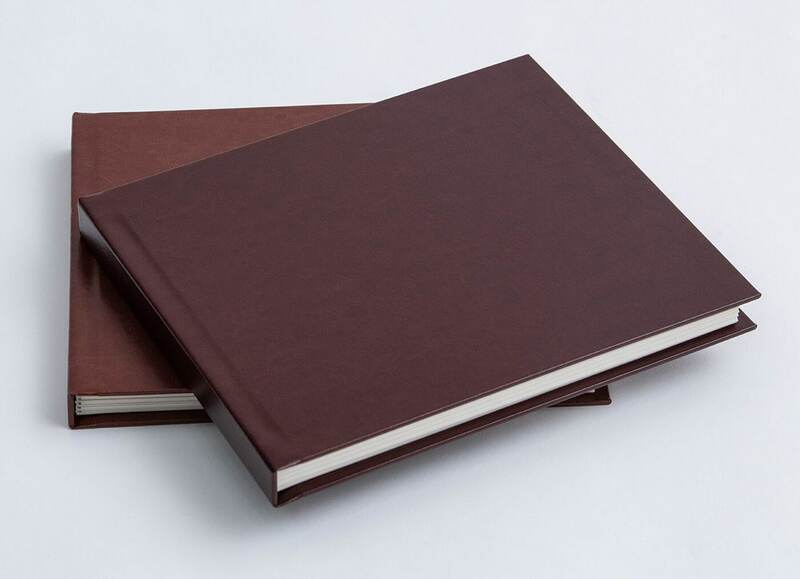 The two high quality and premium leather covers will give your album a luxurious finish. The prints are printed on Epson’s Enhanced Matte Paper. A superior media that outputs images that are vivid and vibrant and accentuates shadowy areas, the enhanced matte paper is the perfect solution for museum quality photographic and fine art works. Personalised photo albums are also sometimes called engraved photo albums and can transform an album into a truly unique piece that will be cherished for years to come. 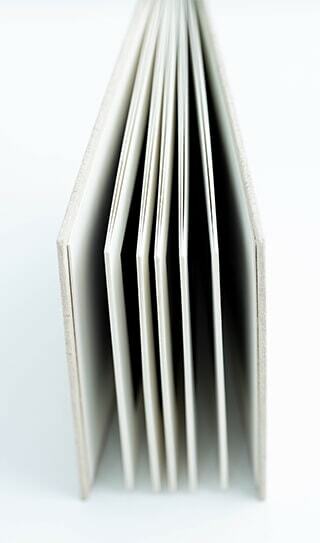 Our album matts are made of 100% acid free, lignin free cotton. There are two main types of mat material: acidic, and “acid-free”. Older mats (wood based paper) are typically acidic, because acid-free paper was not widely available or marketed until recent years. The difference is important for the long term protection of the piece because acidic mats can cause what is called mat burn, brown marks that creep in from the outside onto the displayed piece itself. While mat burn is sometimes reversible through cleaning the piece, cleaning may not be feasible if the piece was executed in water-soluble inks or paints, such as water color. Why are acid free matt boards important? The problem with acid is that it migrates. Once it seeps out of an acid bearing material it can contaminate anything it comes into contact with. Regular mat board is made of wood pulp based paper. Untreated regular mat board could be a threat to the print it is in contact with. All paper mat board manufactured for picture framing is put through a bath of calcium carbonate to neutralize it against the acidity that occurs when lignin, the binding polymer in wood, breaks down.